I recently picked up three of the new Milani Color Harmony Blush Palettes ($13) when I saw the display at Walgreens and have had my eye on these since they launched on the Milani website several weeks ago. 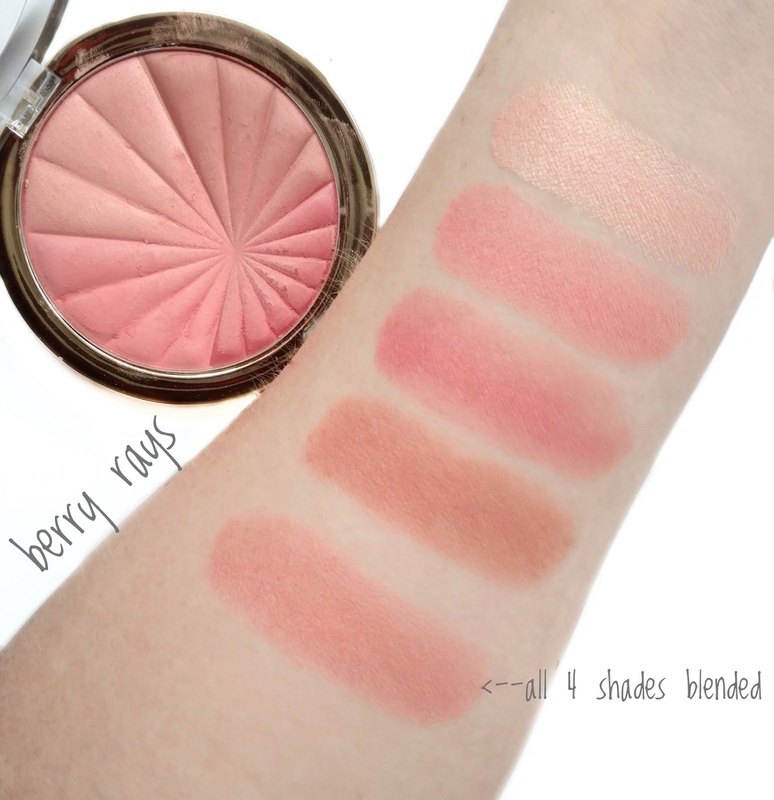 I'm already a fan of their baked blushes and rose blushes so I didn't even hesitate when I saw these, especially because each compact contains four different shades that can be blended together in different ways. There are four different versions but I ended up getting three, (1.) because they're expeeensive for drugstore blushes, and (2.) because the shade I didn't get (Pink Play) looked very similar to the shade Berry Rays, and I didn't need two different pink versions. Milani claims that the Color Harmony blush palettes are "high-impact, buildable blush" that blends easily with rich pigmentation. They feel very silky and soft to the touch when swatching them with a finger and the formula is more on the dense side so there's not a lot of fallout. On the other hand, the denser formula means that they can be harder to pick up with a fluffy blush brush. I personally use my e.l.f. blush brush with these (it's a flatter brush with stiffer bristles) and it works great. I also like using it with these in particular because the head of the brush is smaller than my other ones and I can isolate one or two colors more easily. If you use a large brush with these, you'll likely grab two or three colors at a time, since they're all pretty close together. Each palette has one shimmery shade that takes up the largest area of the compact, while the other three shades are matte. 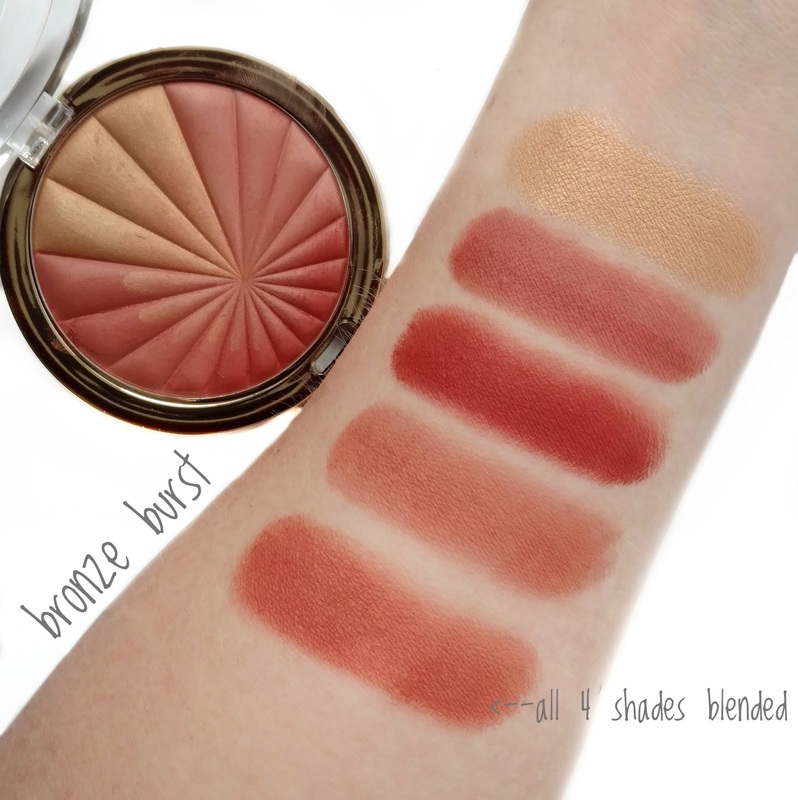 When using all the shades together, they give your cheeks a luminous look that's not overly shimmery...it's really pretty for summer and I don't find that they accentuate the texture on my cheeks. 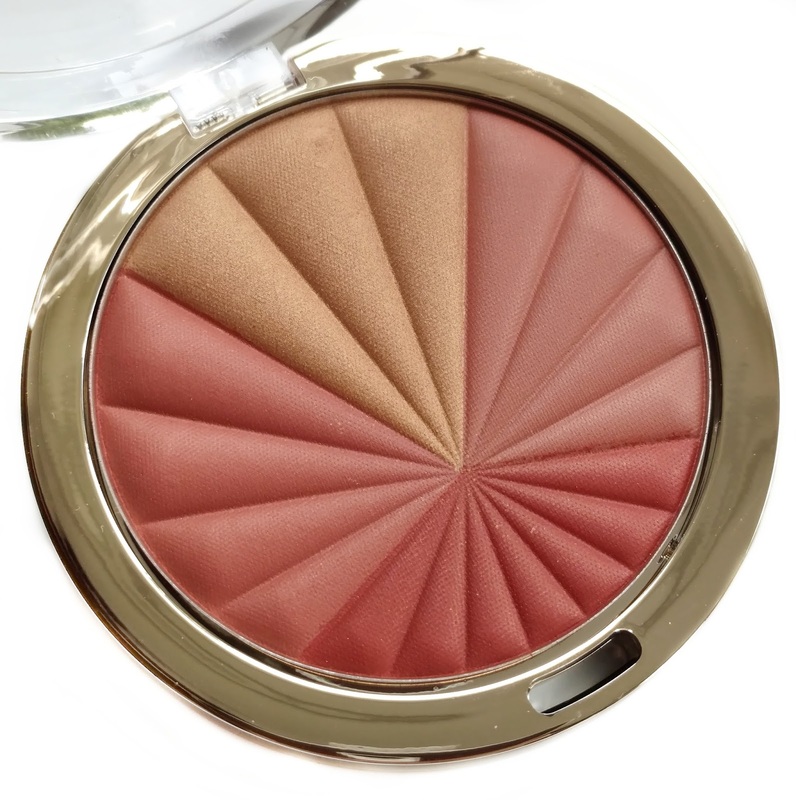 You can also use just the three matte shades toward the bottom of the compact if you don't want any glowiness. Here's a closer look at each palette...I swatched the shades individually and then swirled them all together. 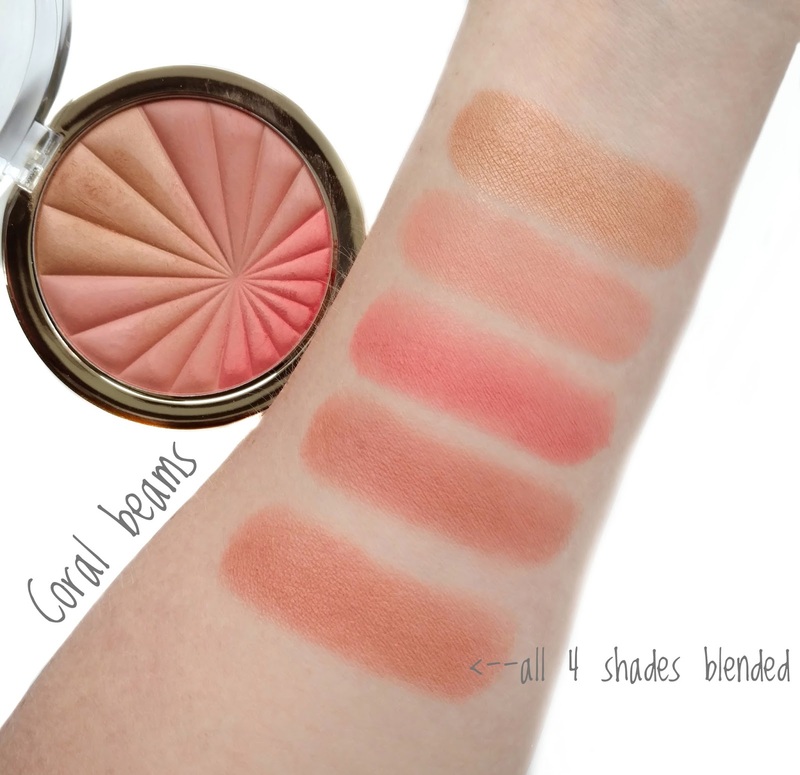 Overall, I really like the Color Harmony blush palettes and will definitely be using them a lot this summer! 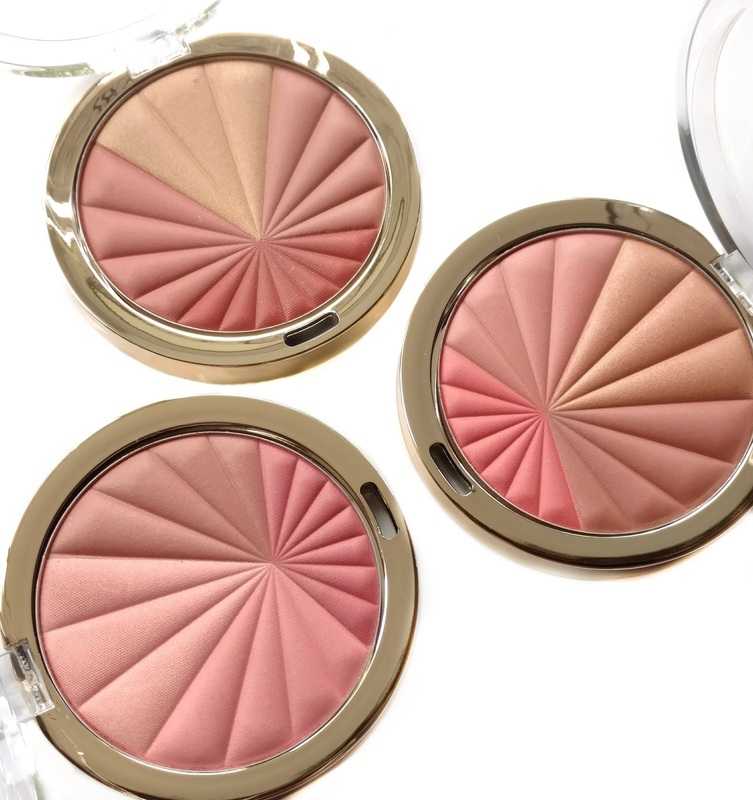 I love how they look luminous but not shimmery and the range of colors in each compact gives you some versatility depending on the look you're going for. 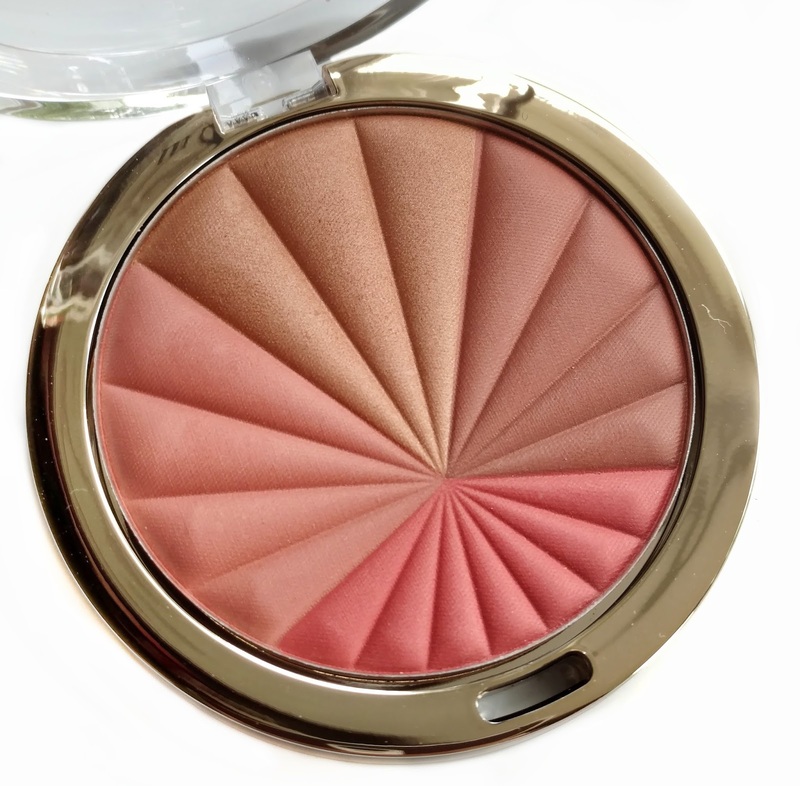 I find myself dipping into the top part of the compact when I want a glowier look, and the bottom when I prefer to look all-matte. The soft, smooth, yet dense formula means that they're buildable with a brush and you don't have to worry about depositing too much color and ending up with clown cheeks. 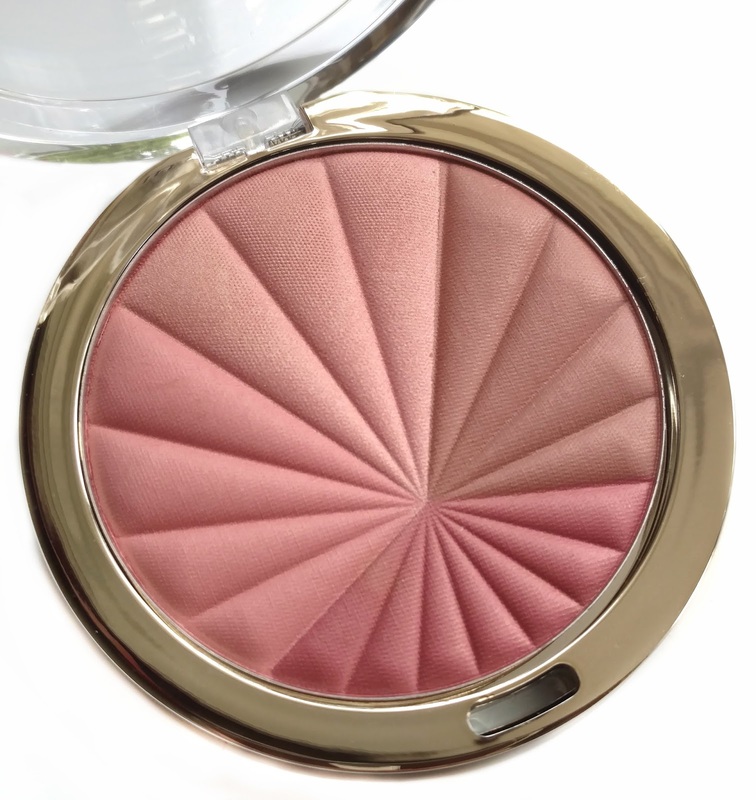 Blushes look amazing. Not really a fan of blushes but I might have to try one of these bad boys out. I love their blushes and use them daily! Thanks for sharing their new product! By the way...I tried the Oh my gloss and you are SO right, great product!